ZLG series direct cooling type milk storage tank is a kind of milk storage equipment using tank wall to achieve direct heat transfer and refrigeration. 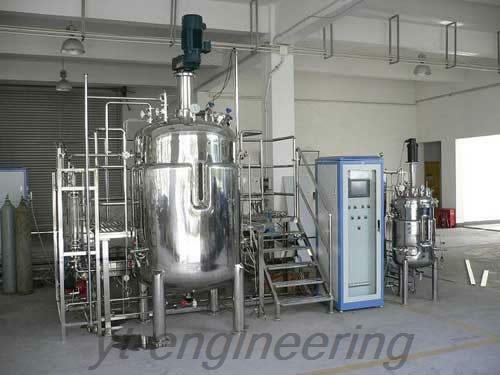 It is mainly composed of tank body, stirrer, scrubber, refrigerating unit and electrical appliance control box. This milk cooling tank is widely used for cooling and storage of fresh milk in milk collection depot. ZLG milk storage tank can also be used to cool and store other liquids in dairy, beverage and pharmaceutical industries. 1. 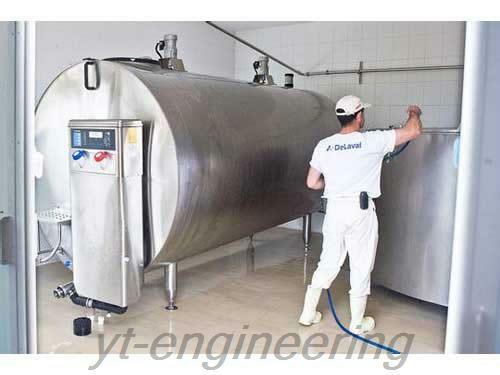 This milk cooling tank adopts advanced plate-type evaporator to realize direct heat exchange and cooling with milk. It is environmentally friendly and energy saving and saves water. 2. Milk with the temperature of 35℃ enters the body of milk storage tank. After about three hours, it can be cooled down to 4℃. The tank with fast refrigerating speed is highly appraised. 3. It is with the shape of horizontal type oval or cylinder. It adopts inside and outside composite structure. 4. This milk cooling tank is made of stainless steel. 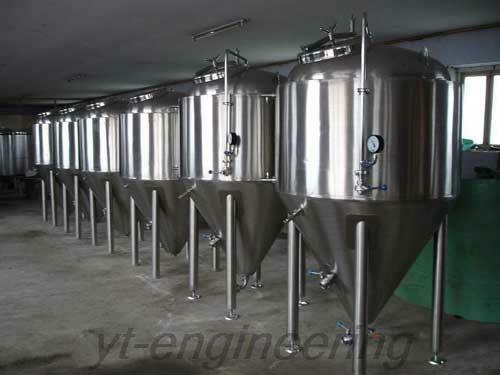 The tank body is a kind of totally enclosed ordinary pressure vessel with good insulation property. 5. When milk is stored in the milk storage tank for a long time and the milk temperature in the tank is higher than 6℃, the compressor will automatically start up and do refrigeration. It will stop automatically until the milk temperature is lower than 4℃ to achieve cold insulation purpose. 6. ZLG milk cooling tank consists of outer shell, liner, refrigerating evaporator, stirrer, inlet cover, thermometer, feeding inlet, air hole, butterfly valve, escalator, refrigerating unit, CIP process inlet, CIP spray header, etc. There are thermal insulation materials between the outer shell and liner. Under rated capacity, the temperature of milk in the tank should raise not exceeding 2℃ within 24 hours. 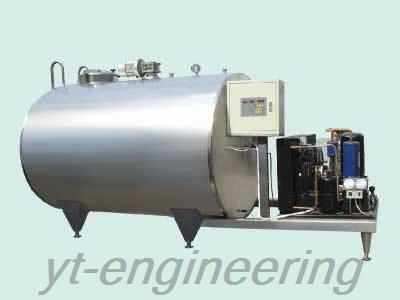 Jiangsu Yutong Drying Equipment Co., Ltd is a high-tech enterprise engaged in manufacturing milk cooling tanks in China. We have obtained the ISO9001 international quality system certificate. Located in Jiaoxi town, a famous town of south of the Yangtze River, our company enjoys transportation advantage. Our milk storage tanks have been exported to America, Europe, the Middle East, West Africa, Southeast Asia and other regions and countries.